Redfish really deserves to be better known. It goes by a number of different names, depending on where you are in the UK, such as ocean perch and Norway haddock, to mention just a few. It doesn’t hog the limelight, maybe because as a whole fish it looks a bit of a handful, with its baggy eye and spiny fins. But once these are disposed of, the rest is easy – and they’re now readily available as pin-boned fillets (pictured above), all ready to be baked, grilled or pan-fried and enjoyed. It’s a real favourite of mine that just needs a light touch when cooking. 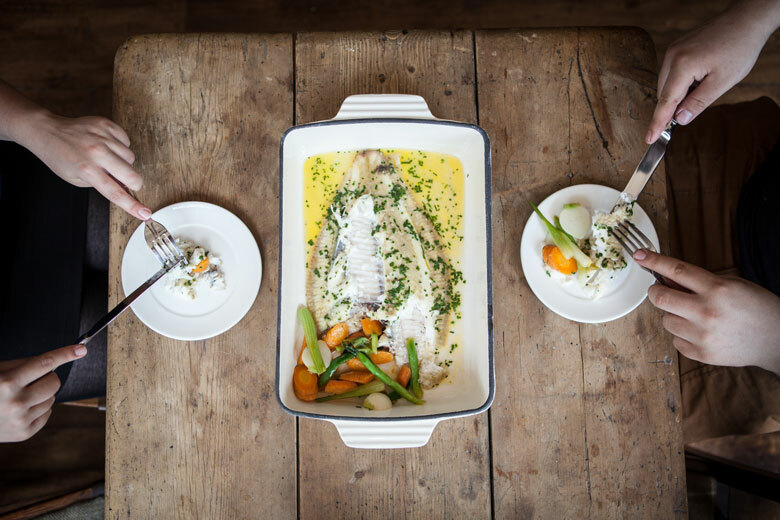 The redfish on the market now have come up overnight from Newquay in Cornwall, fresh from the Channel fisheries that stretch over to the French coast and out to the Channel Isles – all sustainably caught using traditional hook and line. But there’s no rush. Redfish is available all year around, so whenever you fancy giving it a try (and you should! 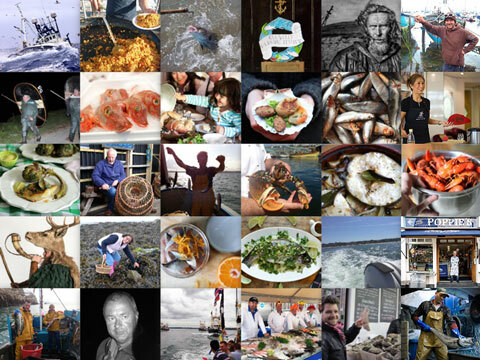 ), most fishmongers will be able to get it for you. Another great buy at the moment are some of the finest sardines the ocean has to offer. 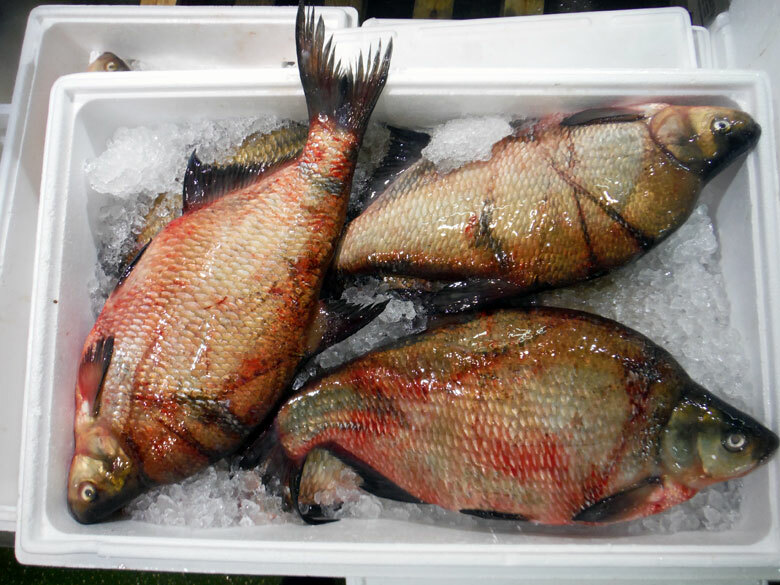 Also fresh up from Cornwall, they are cheap as chips and highly nutritious and available whole or filleted and pin boned, to make life that little bit easier. Keeping with the theme of fish without fuss, the ever-popular cheeks and skinned loins of monkfish never disappoint: they’re never cheap, but they always punch well above their weight, not least because there’s not a scrap of waste. 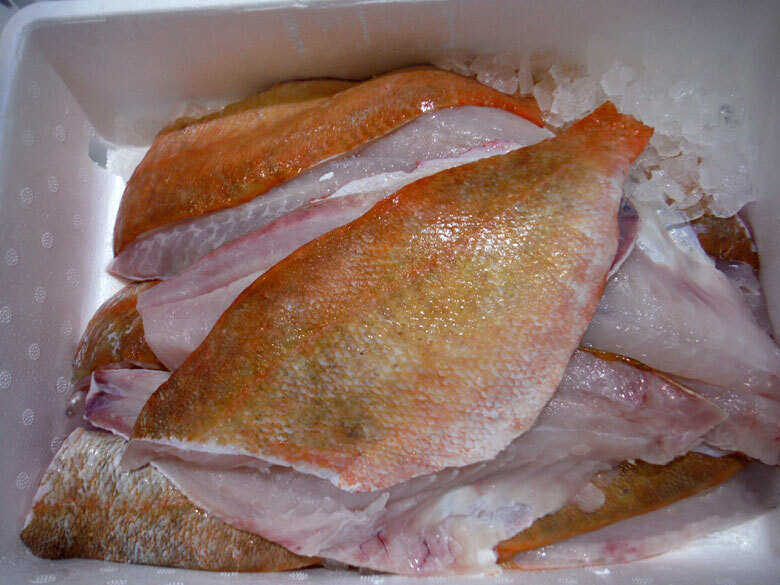 The monkfish tails on the market now come from the Shetland Isles, one of our richest fishing areas, and are landed in Fraserburgh before being hotfooted down south. They are top quality and available in good quantities. In weeks like this, it’s hard to know what to leave out, because there is so much good fish and shellfish bursting out of the boxes that are arriving every minute. Carp (above) and pike are available in good sizes and prices to match as we start the run-up to Christmas. And I can’t pass up the red gurnards line caught just off of the French coast: a great size and colour, they will eat very well. Or my absolute favourite, still hanging in there and showing no signs of standing aside: mackerel – cheap, succulent, full of flavour and easy to prepare. Go on and treat yourself with pure unadulterated nutritious protein.